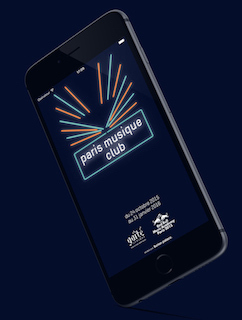 App developped for an exhibition showcasing multimedia art and the Paris music scene, in collaboration with Red Bull Music Academy. 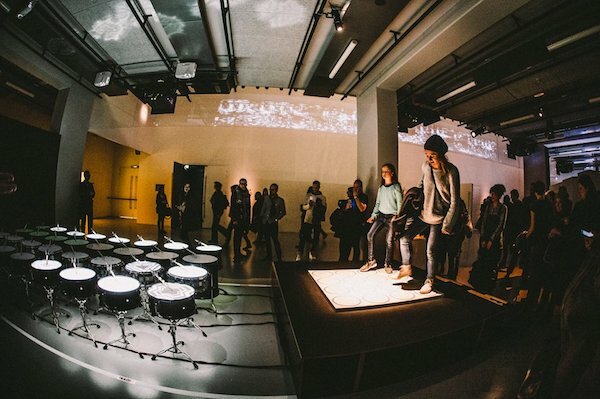 An interactive exhibition comprised of eight multimedia creations by Collectif Scale, coupled with a festival program to showcase the Paris music scene in collaboration with Red Bull Music Academy. 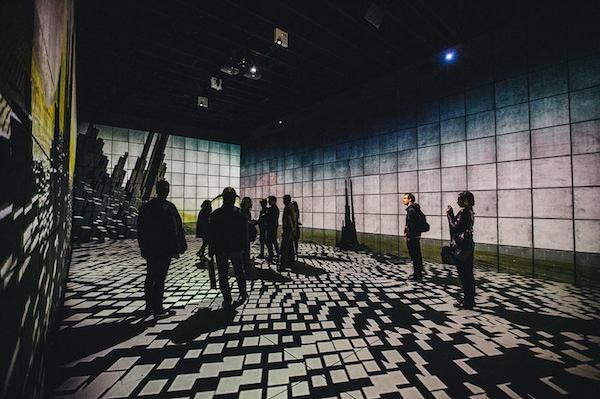 • What off-site experience do we offer our visitors as a digital culture space? 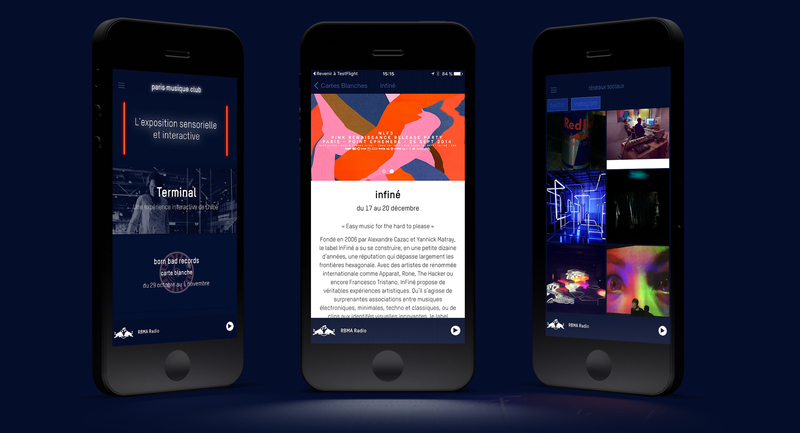 • How does this project’s DNA translate into an online experience, available before or after a visit? 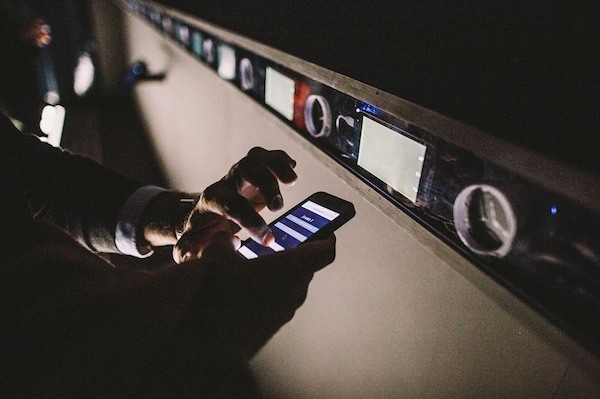 Red Bull Music Academy is famous for creating world-class content. It is a major opportunity to ally content creation forces and also benefit from both our audiences who share common interests. The artists involved in the exhibition master audiovisual production. A stellar opportunity for collaboration. An all-inclusive application to reflect the diversity of the event: exhibition and festival, interactive art and music. Exclusive playlists, video interviews, backstage videos, event program, an interactive feature with an artwork inside the exhibition. Creating an adaptive content strategy: creation and commission of content fit for app and social media campaigns. Curated playlists, live reporting of events, video production & editing. Bilingual script for the app. Project management with internal & external stakeholders (brands, artists, labels). Internal content creation with 2 members of the communications team: photo documentation and script + field work for video interviews. Validation with Red Bull teams. If I were to do it again? Happy to have explored the form of the app, which seemed appropriate for the event. However, not easily adoptable by audiences.